"Light and lively, this is a great summer cocktail." In a cocktail shaker, combine the lemon juice, Sweet'N Low, and vodka. Fill the shaker halfway with cracked ice and shake vigorously. Strain into a chilled stemmed glass. Garnish with the lemon zest. Not a huge fan of the Sweet'N low in the lemon drop. Sorry (Splenda is my personal favorite). 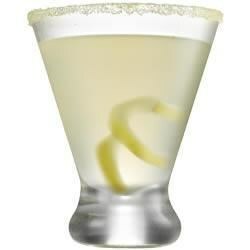 Also, for a Lemon "twist" try using half whpped cream or vanilla vodka. This was very sour. If you like sour you should love this drink. But it was a little too sour for me. I may try again but add more sweet'n low.